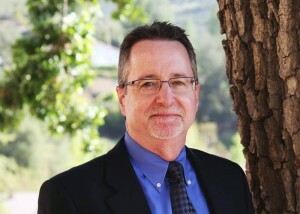 Jon Davidson is the Vice President in Aspen’s Agoura Hills office. He is an environmental professional with more than 35 years of experience providing consulting services to government agencies and private clients. Mr. Davidson has served as a project manager for the environmental review of numerous projects, and has also managed several on-call environmental services contracts for government agencies. He has experience working on a range of different types of projects, but with a significant focus on infrastructure and public works projects, including substantial experience with energy and water projects. His experience includes data collection, analysis, and documentation required for compliance with major environmental regulations, including California Environmental Quality Act (CEQA) and National Environmental Policy Act (NEPA), as well as preparation of land use plans and studies for state and local agencies. He has managed or had a major role in the preparation of more than 140 EIRs, EISs, and EAs, and has prepared over 30 plans and planning studies, including land use studies, general plans, specific plans, and site plans.